Ned Neary beloved husband of Bernie (nee Kinirons) passed away peacefully after short illness at University Hospital, Galway on November 15th. Ned was born in March 1928 in Stephen’s St., Kilkenny and the family later moved to Kickham St. There were five children in the family, Bea and Michael predeceased him and he is survived by his sisters Josephine and Peggy. Ned’s father started a business dear to the heart of all Kilkenny people – making hurleys. That business has now passed on to the third generation – Paddy Neary and Brian Dowling. The hurleys that Henry Shefflin used effectively in the drawn all Ireland Final and in the replay against Galway were made in Dowling’s workshop. Ned graduated as an architect from Bolton Street. To support himself during his college years he went to Berlin after the Second World War where he was employed picking bricks from the rubble of war torn Berlin. The bricks were used in the reconstruction of Berlin. Like many a Kilkenny man he fell in love with a Galway girl – Bernie Kinirons from Kilimor, Ballinasloe. They were married in 1963 in Dublin and the reception was held in the Shelbourne Hotel. In the early 60’s they moved to Galway and Ned worked with Simon Kelly & Co. on several projects in the Galway area. In later years when he moved to Oughterard he was involved with others in the layout of the Walled Garden in Kylemore Abbey. Ned lived in lower Salthill before building his first house in Barna over looking Galway Bay. 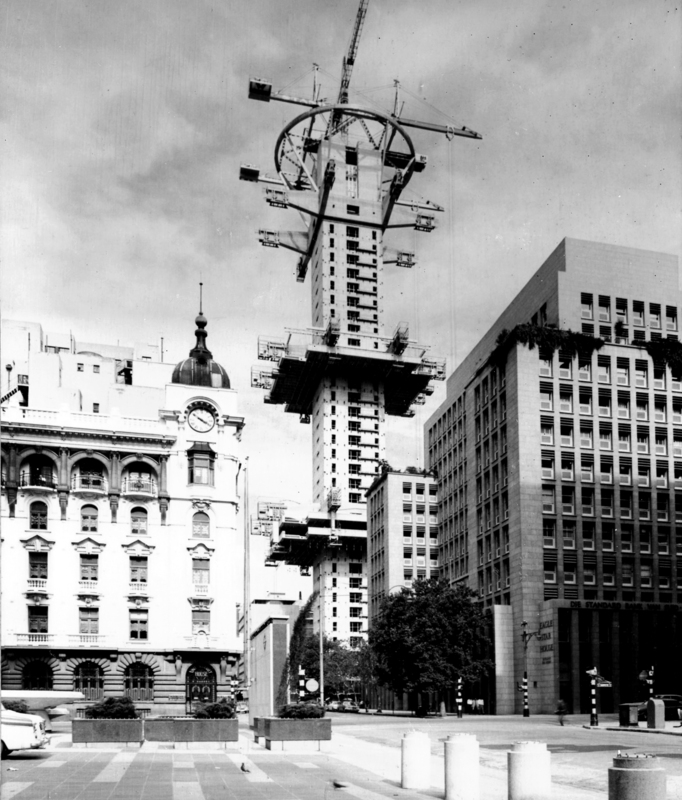 Ned and Bernie had an adventurous spirit and moved to Johannesburg in 1968 where he designed the Bank of Johannesburg. 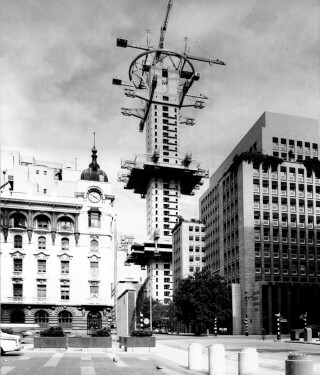 The structure of 37 storeys was a revolutionary building of its time as it was built from the top down. He toured extensively in South Africa and had a great love of the sea. 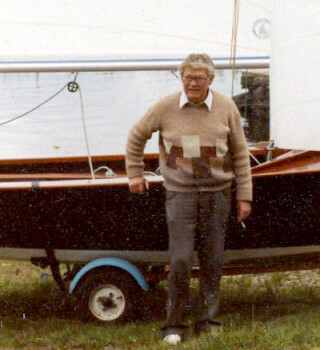 He designed his own boat which was built in Devon and towed to Rushveala. 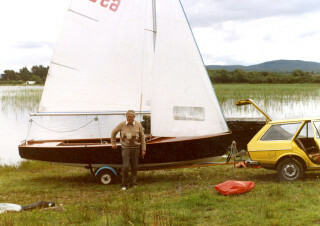 Bernie and Ned spent many a day fishing on his beloved Lough Corrib. While he was in Africa he sent plans for his house at Rushveala to Padraic Faherty who built it. They were to remain life long friends. It is written, “That love keeps a low profile” – love is in all the little things of life and living and so it was with Ned Neary. He was a great neighbour, had an interest in the local children, always willing to help with meals on wheels, children’s playground, supporting the Guide Dog’s Foundation, church gate collections, graveyard project, sorting the Sunday papers with his dear friend Conor Mc Namara and many more unrecorded acts of kindness. Wherever Ned went he made friends as he was a man of great integrity, dignity and loyalty. In his later years he met his friends for morning coffee in Breathnach’s where the conversation would range over a vast range of subjects, architecture, U.S. history, Africa, films and art. Throughout his life he was close to his nephews and nieces. We believe that people like Ned tells us where God is found: God is found in human beings who retain their humanity, reach out to their neighbours and the people they meet, who appreciate the beauty of God’s creation – the sea, rivers, mountains and valleys. Ned was a true worker for God’s Kingdom on this earth. He used his talents wisely for the benefit of his fellow man. He was a good man. Go gcoimeadfaí Dia i mbois a láimhe é. This page was added on 19/11/2012.